Natural Beef Or Organic Beef Is Best. I really feel compelled to "cut to the chase" when discussing beef ...at least buy Natural Beef whenever possible. Certified Organic Beef may be better yet. The restaurant I owned has served beef for well over three decades. The restaurant is in a small "meat and potato" American town. The restaurant sells a lot of beef and the beef purchased is more expensive than what its competitors purchase. That's because the restaurant has always purchased quality beef in terms of grade and how the animal was raised and processed (natural beef or organic beef). The customers (guests) can tell the difference in taste and also (now - finally) understand that the beef served at the restaurant (and in my home) is better for them. Beef as a domesticated food source has been available for thousands of years. Beef is meat from full-grown cattle (usually about 2 years old). There are dozens of breeds of beef cattle, but the major commercial breeds are Angus, Hereford, Charolaise, Brahman, Highland and now Wig au. It is not necessarily the breed of cattle that makes a difference in taste, tenderness, or nutrition. More important is how they were raised and processed. For me, beef is "natural" if NOT exposed to (injected with) antibiotics or hormones and are raised on a range instead of being raised for very long periods in a feedlot. And when being "finished," the cattle must only be fed natural grains, not animal bi-products, wood chips mixed with blood or other idiotic inventions. Pretty simple… but read the labels and ask questions! The beef industry has promoted the idea that antibiotics used on an animal "dissipate" prior to the animal being processed. That may be true, (but I personally do not believe it). I choose not to eat beef with even residual amounts remaining in the meat if I have a choice. Spokespersons for the beef industry may also tell you that the hormones used on cattle promote efficient growth. This may also be true, but I choose not to knowingly eat meat (of any kind) that contains added progesterone, testosterone, zeranol or trenbolone acetate. There are a number of cattle ranches that raise natural beef and some that raise only certified organic beef. More and more this beef is finding its way into mainstream grocery stores throughout the country. 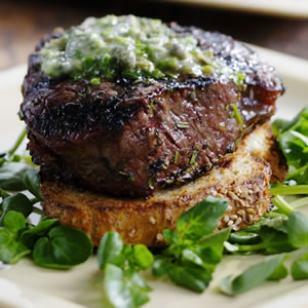 There are also a few very reliable, service-oriented online sources for naturally-raised beef. All beef in America must go through an inspection process but not all beef is required to be graded. The overall quality of ungraded beef may be higher or lower than most government (USDA) grades found in retail markets. 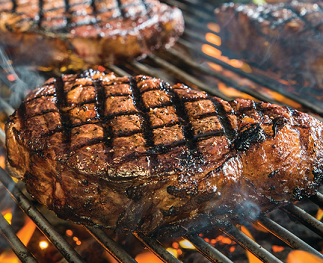 The three most common grades of beef we have in supermarkets are "Prime," "Choice," and "Select. "Prime is the highest (and most expensive) grade; then Choice and then Select. If you can, use at least "choice" for most of your recipes. Some beef companies do not have their meat graded because of the cost. Their beef, as mentioned, is inspected for wholesomeness (safety), but not graded. These are usually small cattle ranchers, many of whom simply cannot afford "graders." And these small ranchers are often the companies raising natural or organic beef. Why Is Some Beef Aged? 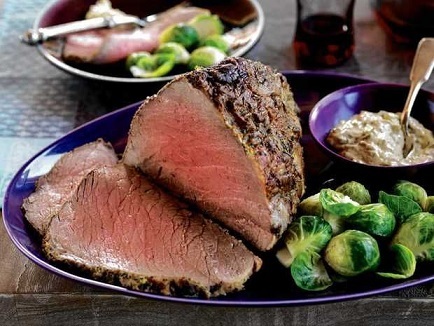 Beef is aged to develop additional tenderness and flavor. It is done commercially under controlled temperatures and humidity. Beef can be "wet aged," meaning it ages after being sealed in a bag, or it can be "dry-aged" meaning it ages before being sealed. Aging increases the cost of the beef. The middleman. Through and through, the "middleman" always seems to care less about quality and more about high volume and cheap prices. Many ranchers have eliminated the middleman and sell their beef directly to retailers or online. This allows them to focus on producing the highest quality beef available. The treatment of cattle. These ranchers know that the better you raise the cattle, the better the beef. Additionally, these companies have the same concerns as I have mentioned and as many other people have today about the chemicals found in much of the nation’s food supply. So, they joined efforts with other like-minded ranchers who would humanely raise all-natural beef (or organic beef) without the use of growth hormones or antibiotics. The accountability for quality. These new ranchers are responsible for their own product. There is no passing the buck if something isn't right; people are held accountable for providing consistent, quality product. All the while, ranchers focus on doing the best job possible in husbanding the land, the animals, and the cowboys and cowgirls who take care of them. These ranchers produce the calves, process the cattle, and lease the warehouses and final distribution trucks. The beef is under their control at all times, and to this day, these companies trace individual cattle from birth to the dinner plate. It is the meticulous attention to detail and commitment to quality that is propelling natural and organic beef ranchers to the forefront of so-called gourmet beef. So what do we do when we go to the grocery store? First, look at what is available. 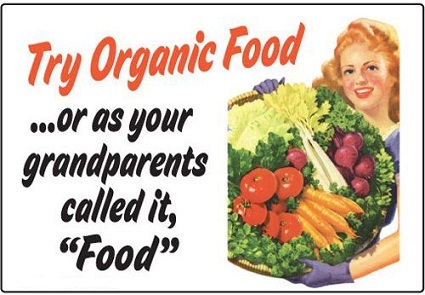 More and more supermarkets are now carrying natural beef and / or organic beef. They have recognized the market's direction. If you can, buy that natural beef or organic beef and use the guidelines below. If you do not have natural or organic beef in your grocery, do two things: ask them to start handling this beef (they will if they get the requests) and until they do, buy the best alternative you can afford using the following general guidelines. Always make the grocery store the last stop when running errands so perishable foods stay cold during transport. Select beef (all meats) last when shopping so it will stay as cold as possible during the ride home. A dark, purplish-red color is typical of vacuum-packaged beef and the meat will turn back to a bright red when exposed to oxygen. Notice the appearance and temperature of the beef package. Choose packages that feel cold and are tightly wrapped with a complete seal. Avoid packages with excessive juice. This is an indicator of poor storage. Give the beef a gentle press. Whole beef cuts should feel firm to the touch, not soft. Check out the “sell by” date on the label. Purchase beef before the "sell by" date. Check for "marbling" as mentioned above. Buy "Prime" if affordable, otherwise "Choice" and lastly, "Select." Enjoy the beef you prepare and the company of those you share it with!